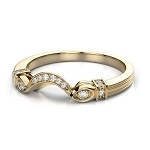 You cannot live without that person whom you love from the bottom of the heart. 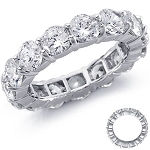 True love story culminate with marriage and continue through anniversaries so a precious band will keep your heart secure wherever you go. 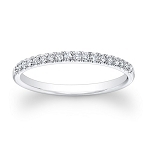 But, selecting anniversary wedding bands can be a difficult task because it might be confusing with the size, shape, and carat and diamond quality. 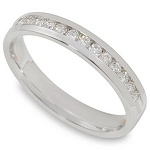 Introducing the exclusive diamond wedding bands and diamond anniversary bands at Queen Jewels where you can browse for subtle yet benchmark designs for your special day. 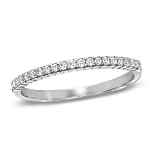 We think design and craftsmanship is a key to choose the right diamond wedding bands. 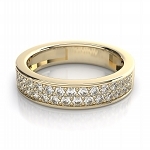 So, whether you are looking for classic or vintage, you can count on our expertise that helps to choose you the ideal band for your partner. 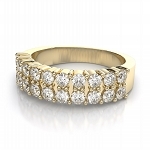 Diamonds are the forever stones that not only give a sparkling touch but also vows for a lifetime promise with a whisper of love and affection. 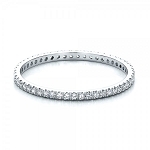 Queen Jewels unsurpassed collection of diamond eternity band and diamond anniversary bands offer you a noble service of highest calibre. 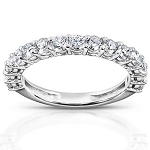 For her, you have to pass on the three sweet phases of your life because you know she is the bliss for your life. 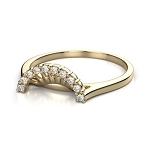 From Will you marry me? 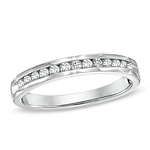 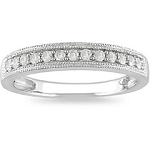 phase to saying I do let her feel the subtle way of love with our diamond wedding band and anniversary band. 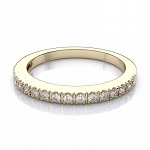 Queen Jewels wedding bands for women exude a classical elegance that will make them the quintessential choice for a bride on her big day. 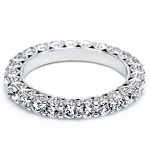 Make your relationship stronger and better by celebrating diamond anniversary moments of I do. 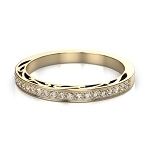 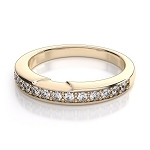 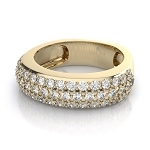 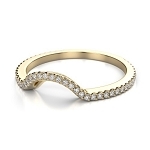 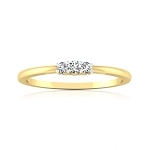 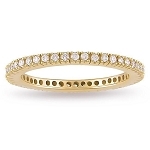 Whether you choose diamond eternity band or yellow gold or white gold all specific with specific cut-diamonds, our best diamond eternity band and diamond rings band can be as simple as opulent as you want them to be. 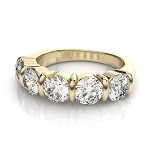 Get affordable engagement rings and wedding rings today. 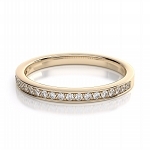 Traditionally, men have worn a basic wedding band symbolising eternal love and loyalty they feel for their partner. 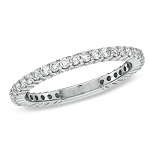 But, today's mens diamond wedding bands are accentuated with diamonds and gemstone just like the way she wants to be. 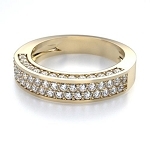 Our streamlined sparkle and versatile designs for mens wedding ring only speak undeniable promises and eternal fondness. 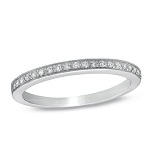 For the couples who prefer to buy diamond wedding band sets complimenting each other, we pair the two wedding bands that represent faith, trust and love. 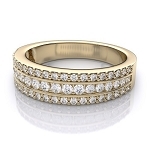 To suit the taste and mood of both bride and groom, our selected matching wedding bands sets will make you feel delighting experience all along till you get the right one. 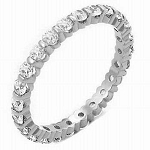 We make your purchase affordable and easy as you'll be wearing the band everyday as long as you shall live. 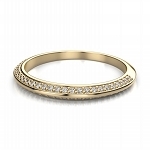 At Queen Jewels, our engraving service of absolute diamond eternity band and wedding bands and diamond wedding sets is suitable for both the bride and groom so that one can keep your message of love forever in their hands as well as their heart. 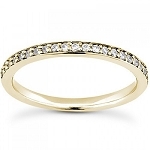 Diamond anniversary wedding bands you both choose will be a long lasting reminder of your wedding ceremony and blissful marriage for years to come.